Mary was inspired to write this book when she started writing down her daily thoughts when she developed her daily routine of reading devotional books while drinking coffee. These thoughts were posted on her Facebook. When her grandson gave her a smartphone and access to Facebook, she was determined to make use of it for God’s glory. Her friends then encouraged her to start a book where she can publish them. Since Mary is an avid gardener, the passages reflect on tending everything from the plants in her garden to her children. She believes that in all matters, we have to trust God. Mary was able to apply the Bible passages effectively in her daily life, like all the things that we face every day. The work as a whole can be clearly seen as true to the author. Mary shares many of what she experienced on a daily basis. As she describes her failures and victories, you will find yourself agreeing and saying to yourself: “that’s me.” The selections are rarely more than a few paragraphs long. The majority of the concept discusses the importance of studying the Bible and the reassurance in the acceptance of God’s love. Mary would like to share her thoughts about the importance of maintaining a personal relationship with God and to act as an ambassador for Christ, even during one’s daily routine. Grab a copy now! 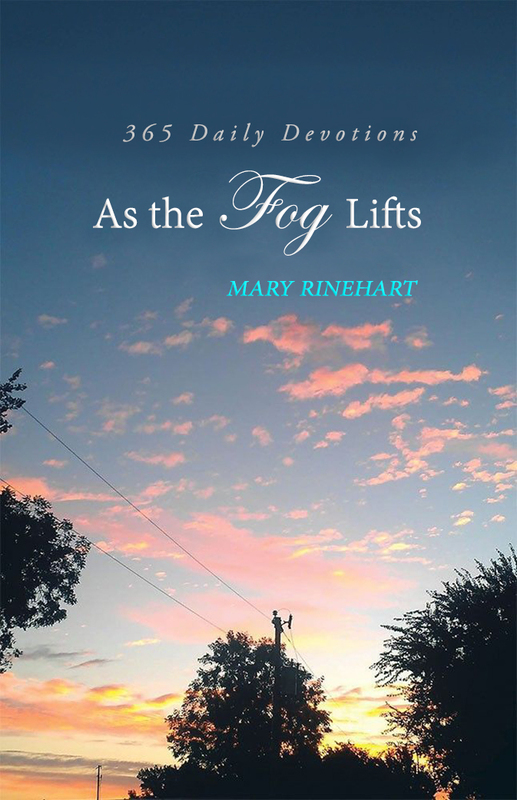 “As the Fog Lifts: 365 Daily Devotions” book copies are available at Amazon. Mary Rinehart loves to work in her garden. She loves to share Bible passages along with her personal thoughts and ideas that she was able to develop when she started her morning routine of drinking a cup of coffee while reading devotional books.